The Catalina Sea and Air Terminal in San Pedro is located at the heart of the waterfront promenade in the LA Port which is freeway accessible from Los Angeles and Orange Counties. 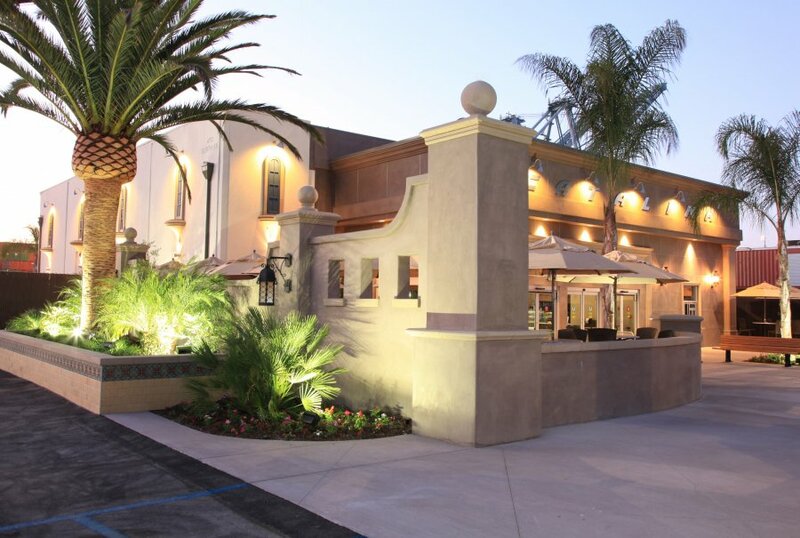 The Catalina Bistro offers a sit down, table service dining ambience. Patrons can enjoy chef-driven breakfast and lunch menu items before or after their Catalina Island visits, or just drop in lunch service. It also offers artisanal selections of beer and wines, creating a dynamic ambiance for vacation driven patrons. The Express Grill offers a casual dining experience. Choose from an inspired menu including breakfast, salads and sandwiches, or selection of burgers. The grab-and-go offerings are a delicious option for people on the run and pastries for your sweet tooth. ATMs are available at all locations. All major credit cards are welcome. Travelers can book sightseeing tours and make golf cart rental reservations at the port. Hourly: FREE for the first hour, $2 per hour after the first hour. Arrive early at the terminals and dine at one of the new Catalina Express eateries, the Catalina Bistro or the Express Grill. Both are in San Pedro and Long Beach.